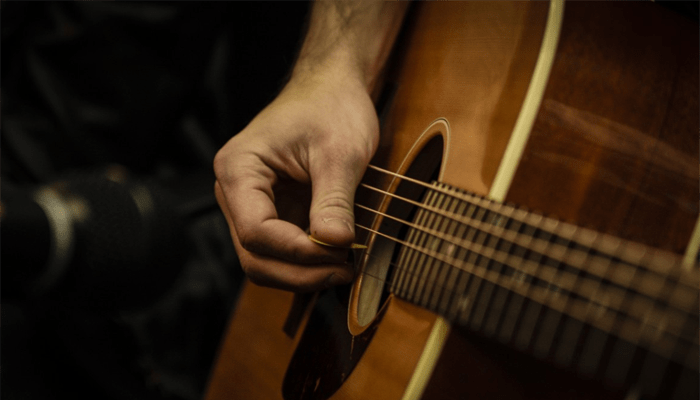 Playing the acoustic guitar provides a ton of fun for you, your friends, and your family. Not to mention that there’s always the possibility of leading into a career. It’s a classic instrument with beautiful, resonating tones that guide the music to the listener's ear. Not only does it lift everyone’s spirits, but it brings about emotional connections and common interests. With all the different acoustic guitars on the market, it might be challenging to find the right one for you. We’re firm believers that an acoustic guitar, and any instrument for that matter, is unique to the individual. 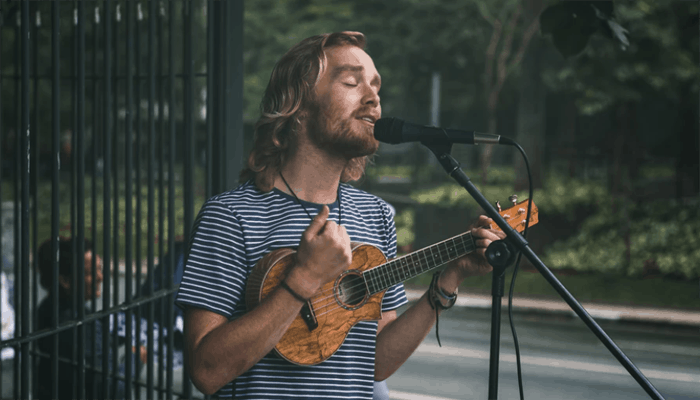 You can’t expect the same sort of musical ‘connection’ with an instrument as another musician. When you finally get the right guitar in your hands, you’ll know it’s the one! 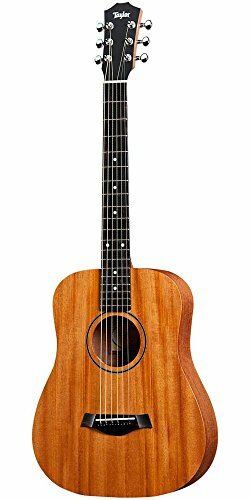 Best Solid Wood Acoustic Guitar Under $500? Can You Buy Good Acoustic Guitars Under 500? We’ve searched all over to find the best acoustic guitars. There are literally thousands of options, so it took us quite some time. We’re all about taking out the guesswork, so we weeded out all of the ones with bad reviews or untrustworthy construction. Nothing is as disappointing as buying a new guitar and finding little chips out of the paint or broken strings before you even start strumming! We also know that a lot of people are on a budget, which means you don’t want to fork out thousands of dollars like a professional musician would. Our mission was to find the best acoustic guitars under $500.00, and wse did everything we could to bring the right results to you! 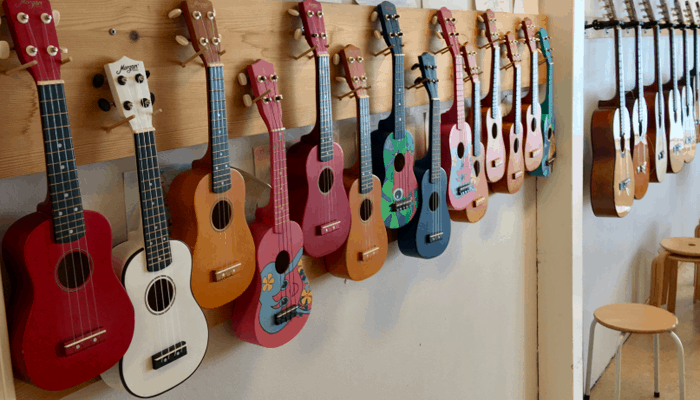 Hopefully this article will clear some things up and point you in the right direction to get you strumming as soon as possible. If you have more of a budget, consider these acoustic guitars under $1000. The kit included with the Yamaha FS850 has everything you need to save money and get to strumming your new guitar. Solid mahogany wraps this acoustic guitar to produce the best possible sound output. The small body of this guitar is perfect for musicians of all sizes. The Seagull S6 Original is in a league of its own for lower priced acoustic guitars. It provides an amazingly vibrant tone that carries long enough to set the mood of the song. The dreadnought body style is large enough to compensate for most musicians, which takes out the guess work of wondering what size is right for you. The tilted headstock on this acoustic guitar is noteworthy for two reasons. 1) It tightens the strings of the guitar a little more, which makes chord transitions smoother and prevents fret buzz. 2) It makes tuning the acoustic guitar much easier. The S6 Original features a double action truss rod that helps carry the pitch much more accurately than most other acoustics. Instead of waiting for the pitch to catch up to your playing, it changes the instant you decide that it should. Finally, a guitar that let’s you use it fully! Why We Liked It - Seagull is one of the best brands in acoustic guitars. They’re well-known for their quality of craftsmanship and consistent, beautiful sound. They didn’t cut corners here, which is why the S6 is on the list. While the Taylor GS Mini is definitely smaller than most other acoustic guitars, it boasts a massive output. They say TNT comes in small doses, well the GS Mini proves this statement couldn’t be more accurate. With wide ranges in volume and tone, it’s no surprise that the Mini is so popular. We have to talk about the size of this acoustic guitar, it’s in the name after all. Most smaller bodied guitars don’t produce great volume, and they’re usually used for training purposes. However, the sound output on the GS Mini is enough to wow crowds, and it’s small enough to travel with. Mahogany is one of the most sought-after woods when it comes to constructing an acoustic guitar. While many other brands use a mixture of mahogany and something else to cut costs, the GS Mini used 100% mahogany, and the sound proves its worth. Why We Liked It - It’s hard not to like an acoustic guitar that’s travel size with the voice of a full-sized one. Very rarely will you find a guitar that matches the smallness of the GS Mini with the bold sound it produces. Yamaha is another big brand name in the music industry, and their FS850 backs up that clout. The smaller body on this guitar is a perfect size for any musician. It’s also a great training tool since it’s easy to switch from chord to chord without the massive fret space of a dreadnought guitar. While most kits include a couple of guitar picks and some strings, this kit includes much more. 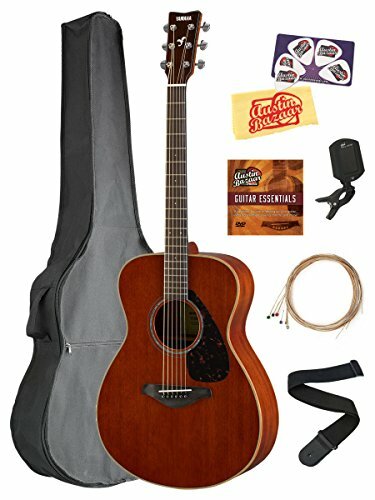 Included with the FS850 are some acoustic guitar strings, picks, a tuner, a cleaning cloth, a gig bag, and an instructional DVD that tells you the basics of guitar playing. 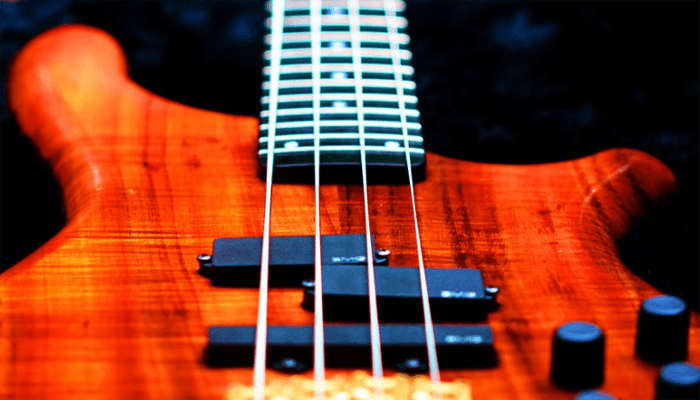 Mahogany produces the best resonating sound over most other types of woods used in guitar building. It’s widely loved, and mass-produced due to the constant need for its use in acoustics. The FS850 is a perfect example of why so many musicians love mahogany as their choice of wood. + The kit included with the Yamaha FS850 has everything you need to save money and get to strumming your new guitar. 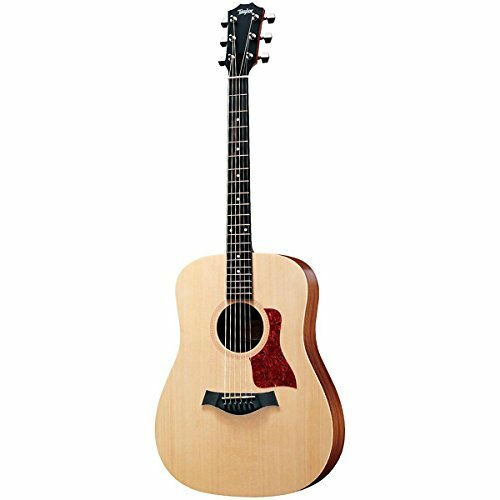 + Solid mahogany wraps this acoustic guitar to produce the best possible sound output. + The small body of this guitar is perfect for musicians of all sizes. Why We Liked It - We liked the Yamaha FS850 because it’s a small body with a large punch. There’s nothing small about the volume or the tones that this acoustic guitar produces! This mini guitar by Taylor is an excellent example of a perfect traveler’s guitar. It’s small enough to walk around while holding it without bumping into everything in your way. On the flip side, it’s still a dreadnought style, which means it carries similar tones. While it’s a perfect size and sound output for traveling, there’s still one thing missing. We knew that there had to be one more item in the package that would make it the ultimate traveler kit. So what pulls it all together? The traveler’s durable gig bag. It’s strong enough to be dropped and compact enough to be efficient in many situations. What is the perfect traveler’s guitar size you might ask? The Taylor Baby Acoustic Guitar is ¾ the size of a dreadnought. Instead of being ½ the size like many training guitars, this one is still big enough to produce great sound. 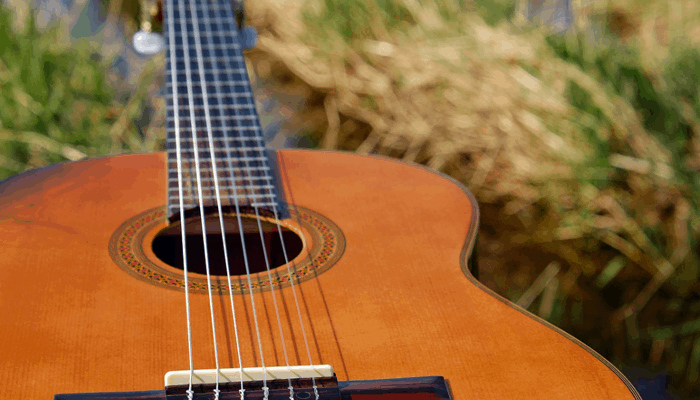 Why We Liked It - Finding the right acoustic guitar to join you on your travels can be a tough search. We ended up coming across this model and knew instantly that it was a perfect fit! The Yamaha FG800 is in a world of its own. Made with several different types of rare wood and a massive kit included, there’s nothing too much like it. If you’re looking for a unique style with an awesome kit that includes it all, the FG800 is a great answer to your problems. The spruce top of this acoustic guitar provides a solid tone. Nato and Okume make up the back and sides of the guitar, which produces an invitingly warmer sound. Although they’re not as common, these woods shouldn’t be forgotten. They help your music stand out from the crowd, and they’re still very trustable. 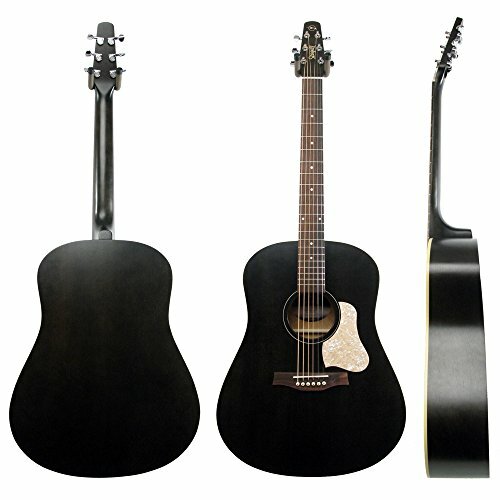 There are many different body styles for acoustic guitars. Dreadnought is without a doubt the most popular body, since it’s large and produce a great volume. 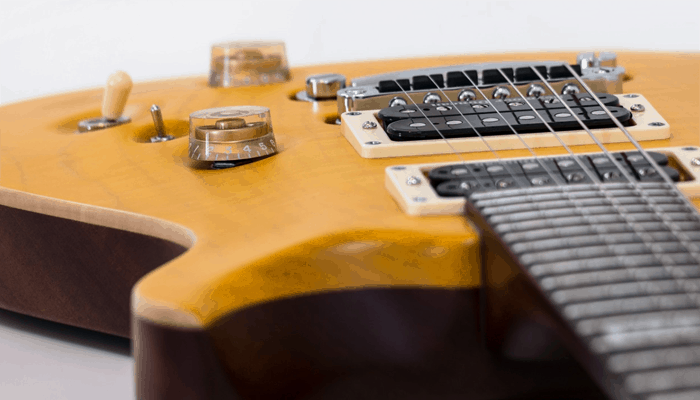 Why We Liked It - It’s a classic string and body style on a not-so-classic wood choice, which makes it a very interesting twist on the modern guitar. Takamine isn’t as well-known as some of the other brands on the list, but they’re quickly making a name for themselves for their beautifully classic acoustic guitar builds. The GD20-NS is a great example of a classic guitar with a few modern additions that give it a little bit better ease of play. 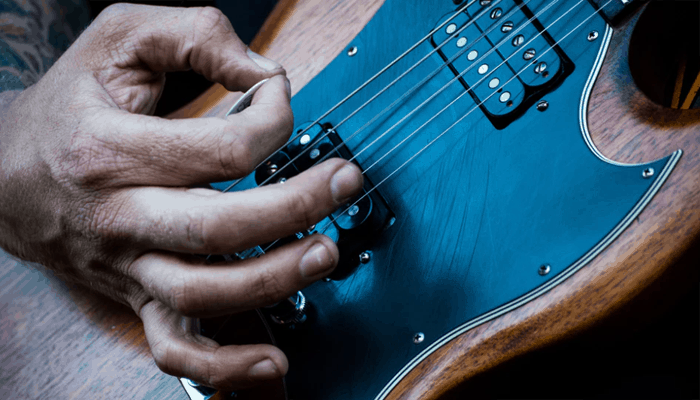 The fret width on a guitar is not often something that most people think about when buying a guitar. It’s one of those things that you either don’t notice, or you seriously regret not paying attention to later on down the road. The GD20-NS features an extra wide fretboard, which makes the strings further apart, thus easier transitioning is possible. Cedar is another great wood choice for acoustic guitars as it mutes any unwanted resonations. 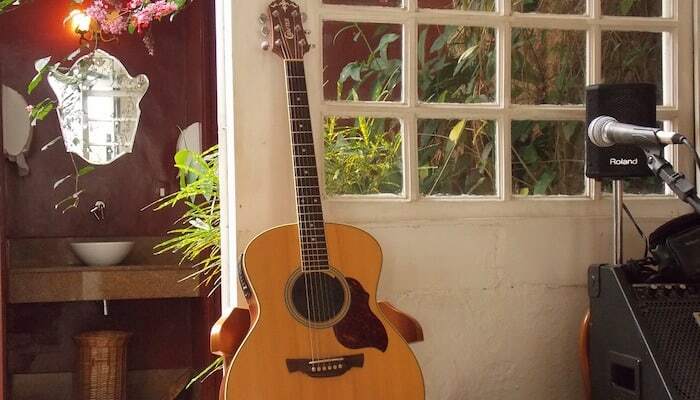 With Mahogany back and sides, this acoustic guitar still provides excellent quality of sound. Some say that cedar and mahogany is the perfect combination. Why We Liked It - With wider frets, this acoustic guitar is an excellent choice for anyone who has trouble switching chords. 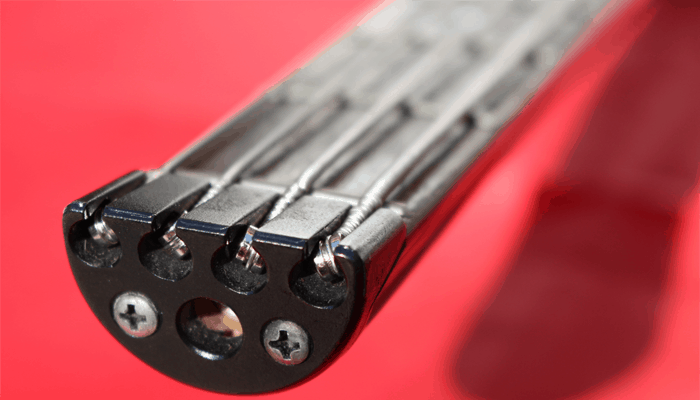 Sometimes strings get unintentionally pressed, so we felt that this fretboard was a great solution! 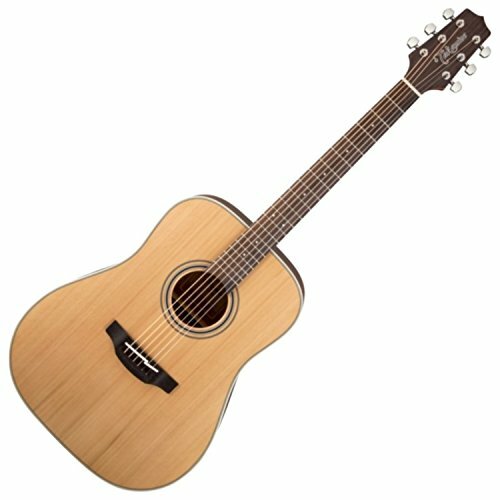 If you’re looking for a slightly larger alternative to the Baby Taylor Acoustic Guitar, then the BBT is a great choice. It’s 15/16 size of a dreadnought, which is just small enough to travel well and produce dreadnought quality sound. Not too small, not too big. The BBT is considered portable still while producing the same volume and tone as a regular dreadnought guitar. To some, this is the perfect sized guitar for any occasion. Playing at home? You still get the same audio as a dreadnought. Take it with you on the go and you’ll truly appreciate its size! Spruce lines the back and sides of this acoustic guitar, which gives it the same rich and warm sound output as a most other woods without the fragility. Spruce has been known for its durability, so it’s no surprise that Taylor protected their BBT with it. Why We Liked It - We love the upscaled size of the BBT from the Baby Taylor. It’s still portable but it doesn’t reduce any of the sound output of a normal dreadnought guitar. 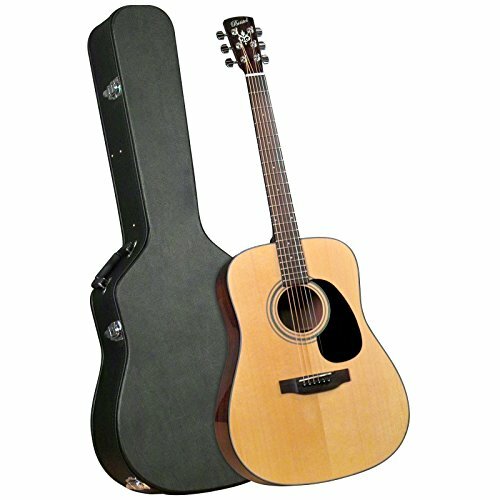 The Martin LXM Little Martin acoustic guitar is a great guitar for training purposes or practicing before a gig. It produces a sound output that is a little quieter than some other guitars, which is nice if you’re looking to not disrupt the people around you. It’s also good for playing in a house without everyone else outside the room! Since spruce is so good at reducing small errors and buzzes, this guitar is perfect for muting out the problems. It’s made of all spruce, which also makes it a durable build. 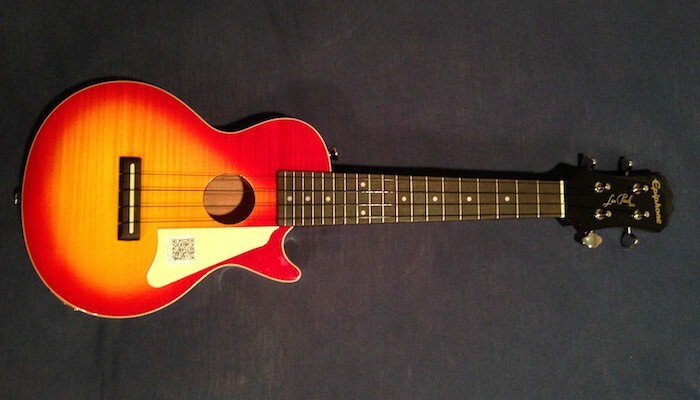 The sound hole is just big enough to produce the necessary volume. A tilted headstock helps reduce fret buzz, tighten the strings, and make chord transitions easier. The Martin LXM has the perfect headstock to achieve all of those without over-tightening or damaging the strings. Why We Liked It - We love the unique smaller acoustic guitars because they’re perfect for all sorts of scenarios that massive dreadnoughts fail to succeed in. Sometimes training or practicing in a room with a closed door isn’t enough to mute a dreadnought, so these smaller guitars are a great solution. If you’re looking for an excellent setup from a reputable brand, then the Fender CD-60S is definitely worth looking into. 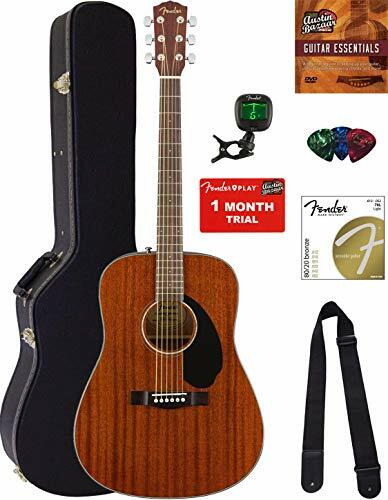 This guitar kit comes with everything you need to get started in addition to a beautifully crafted acoustic guitar. Dreadnought acoustic guitars are definitely the most popular body style, and for good reason. If you enjoy performing in front of other people, regardless of the crowd size, then the volume produced by a dreadnought is noteworthy. The rich hum and deep volume produced by a dreadnought is almost always unparalleled. The back and sides of this acoustic guitar are made of mahogany, which as you now know, is an amazing wood choice for any guitar. It’s the perfect classic appearance and feel with the beautiful unmatched tone that makes mahogany such a wonderful choice of wood. Why We Liked It - Dreadnoughts are the most classic style of acoustic guitar. When paired with the beauty of mahogany, it’s hard to find a better one on the market! Another great dreadnought that we came across was the Bristol BD-116 BD-16. This acoustic guitar has a subtle, classic appearance that makes it not stand out too much in a crowd. However, the bold sound that comes with a dreadnought quickly pulls attention upon the first strum. Spruce and mahogany is probably the most common combination of woods in the acoustic guitar industry. It provides such a classic rich tone of mahogany paired with the longevity of spruce to make the ultimate combination. While most acoustic guitars have a thicker neck, this Bristol guitar has a slim neck. Why you might ask? Because a slimmer neck means easier chord transitions. It might make it harder to change frets at first, but the quickness of overall chord changing quickly overshadows any issues at all. Why We Liked It - The slim fretboard alone was enough to grab our attention. When we saw the beautiful pair of spruce and mahogany on this dreadnought, we instantly knew it would be worth sharing! Nothing beats having a classical guitar with the best woods around. Although we’ve cleared out all the bad choices, you’re still left with 10 guitars to choose from. It might still be a little bit of a hassle, which is completely understandable. With all the different brands, body styles, colors, sizes, and woods, how should you know which one to pick? Instead of leaving with all these unanswered questions, we decided that we should make a helpful guide to hopefully clear up any unsolved mysteries in your search for the perfect acoustic guitar for you. Usually, acoustic guitars with a cheaper price mean cheaper quality, but that’s not the case with the Yamah FG800. It provides everything you need in a perfect kit to get started on your musical journey, including a beautiful guitar. With the rich tones provided, you just have to start strumming away to unlock the natural sound of this acoustic guitar. 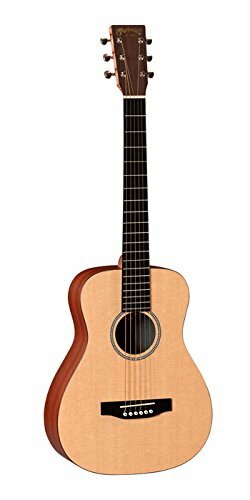 The Taylor Baby Taylor Mahogany Acoustic Guitar is without a doubt the best solid wood acoustic guitar under $500.00. Mahogany makes the best acoustic guitars in the eyes of many, and this one if 100% mahogany on all sides. There’s nothing like the beautiful tons from mahogany, which makes this guitar a perfect find. Absolutely! Finding a perfect acoustic guitar doesn't require thousands of dollars. There’s a perfect guitar for you on the list under $500.00, which gives you any size, design, wood, and whatever else you want to customize. 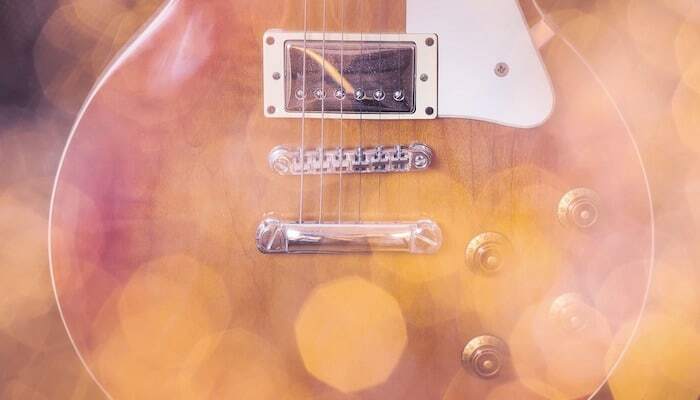 Choosing the right guitar body style is one of the most important factors in buying your new instrument. A large dreadnought is a great body style for people with larger fingers or longer arms since the fretboard is longer and wider. The body itself is also a little bit larger, which can be hard for smaller people to hold. Smaller musicians should look into getting a smaller body with a short fretboard. It makes it much easier to perform chord transitions and change strings. It’s also easier to hold while standing if you don’t have a guitar strap. The tilt of a headstock on an acoustic guitar can change everything about the strings. If the headstock is too tilted, it’ll tighten and damage the strings. It also makes it harder to get any resonating sound out of the guitar. If the headstock is not tilted enough, then you’ll get fret buzz, loose strings, constant retuning, and you probably won’t get much audio output at all.